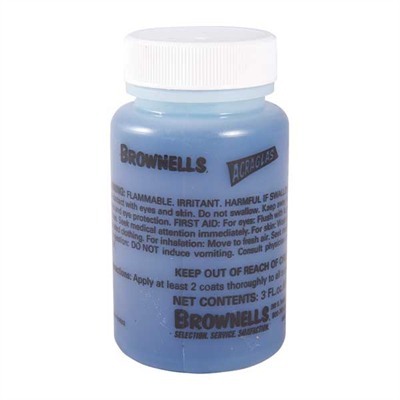 Our traditional Release Agent and our new, easy-to-ship, Non-Flammable Release Agent selectively lets Acraglas bond to the stock but not to the barreled action. Both products present nearly indentical physical characteristics, and are applied in exactly the same manner with no noticeable difference in dry time. Both form a smooth, vinyl-like coating between the bedding compound and metal. 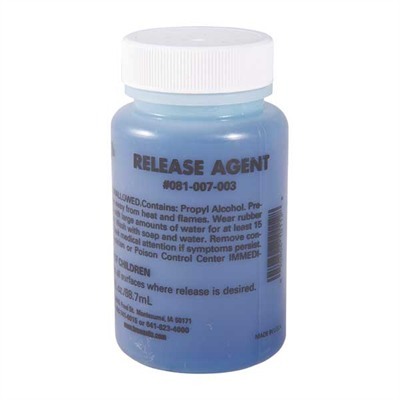 Non-Flammable Release Agent is a non-flammable, non-hazardous formula that can be transported by air, immediately upon request, safely and legally within and outside the Continental U. S., so there’s no more waiting for ground shipments to arrive when you need an Acraglas kit or extra release agent in a hurry.